ThinkLink products are powerful, effective and unique tools to quickly get you thinking, seeing and implimenting Green Light solutions as quickly as you can flip a card. 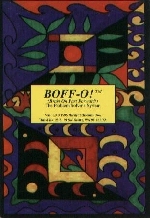 Convenient and portable, BOFF-O!®, The Problem Solvers System, and The Idea Activator are powerpacked tools ready to help you zoom past those mental roadblocks at work, home, school or any situation you need to quickly push your creative powers to Full Green Ahead! 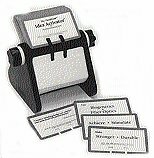 BOFF-O!® is a pocket portable card deck and The Idea Activator comes ready to use on your Rolodex style base.